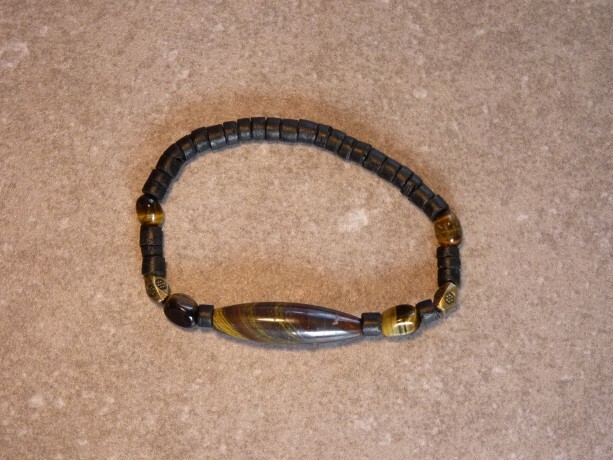 Gold swirled agate with Burgundy, black, and brown following the swirl pattern. 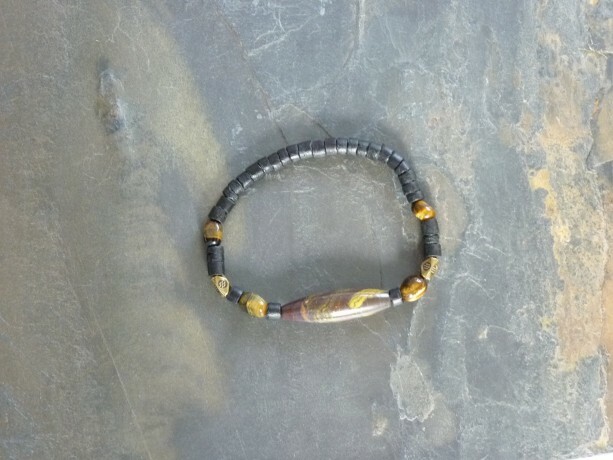 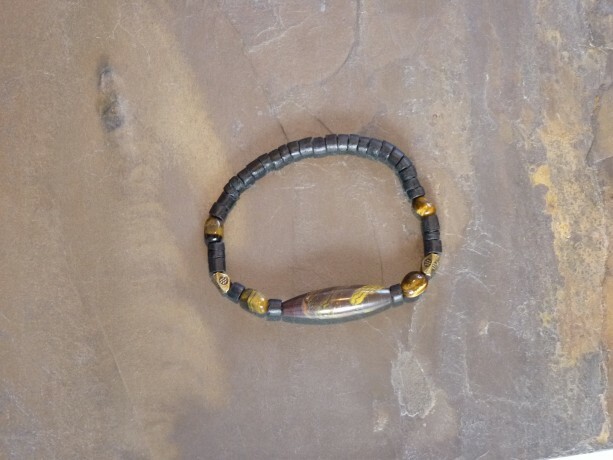 Eye-catching focal stone that also has 4 Tiger eye stone beads 2 antique brass spacers, and black Coconut Heishi shell in a matte finish. I used stretchy Gossamer floss 0.45mm to string these beads, and always double the cord for strength. 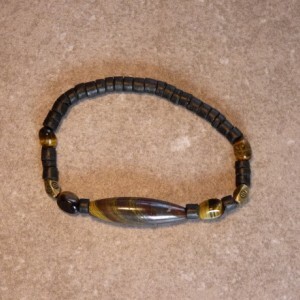 I use a quadruple square knot that's glued to finish. 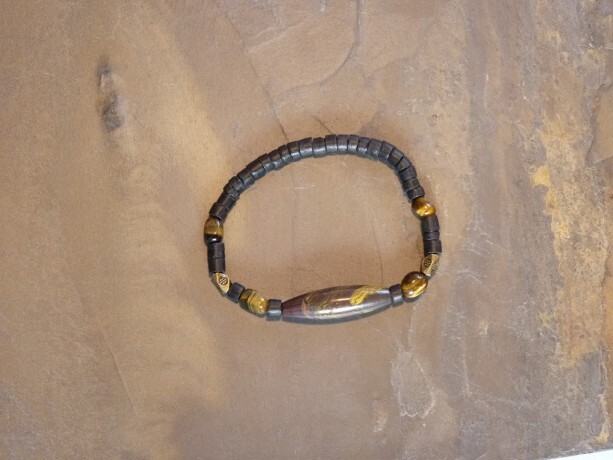 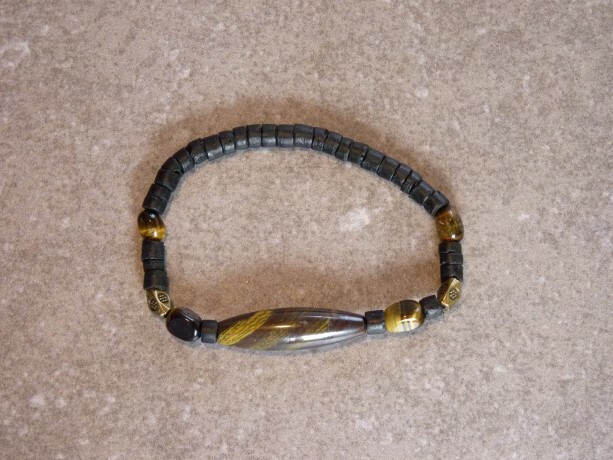 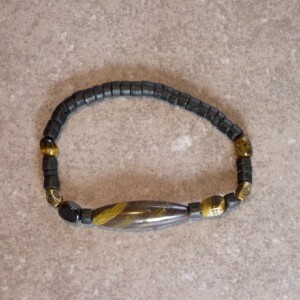 This elegant bracelet will look casual but classy on a significant other's wrist! 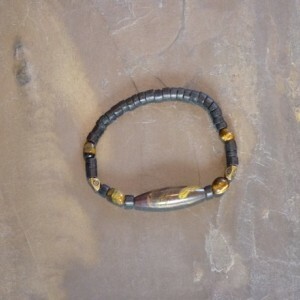 Your new treasure will arrive nicely packaged and ready for gift giving.